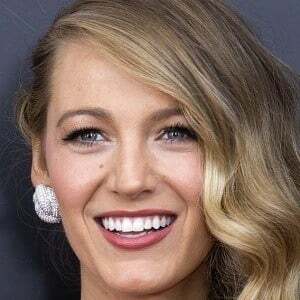 Actress who played Serena van der Woodsen in The CW series Gossip Girl , a role that earned her three Teen Choice Awards. She also had prominent roles in such films as The Age of Adaline , The Sisterhood of the Traveling Pants and The Shallows . As she was growing up, she was sent to acting classes by her parents due to their reluctance to hire her a babysitter. She was nominated for a Teen Choice Award for her role in Green Lantern . She married actor Ryan Reynolds in 2012 and in December 2014, the couple had their first child, a daughter named James . They welcomed their second daughter Ines in September 2016. She and Leighton Meester starred on the teen drama series Gossip Girl, which aired for six seasons on The CW from 2007 to 2012.